Since releasing my game, No Girls Allowed, I've had some people ask me how I created the custom loading screens in it. If you've played the game, you've probably noticed that whenever you start a level, you come across a different loading/tip screen. Instead of having to keep explaining it to people, I've decided to just create a little tutorial about it that I can simply point everyone to. As an added bonus, I'm also going to (very briefly) touch on coroutines and scaling the GUI to make content look the same across different screen sizes and resolutions. Keep in mind that I'm not claiming to be an expert on the subject in any way. I've just had some people ask me about this, and decided to share what I did in my game. Hopefully this can help save some of you time so you can spend it on more fun stuff in your own games. In fact, if you want to save a bunch of time and take the easy way out, I've zipped up the scripts and linked to them at the bottom of this tutorial. So with all that in mind, let's get going. This is going to be a pretty quick and easy tutorial, so these will be the only image assets we need. Go ahead and place them wherever you keep your textures - for me, that's right in the Resources folder. The first thing we're going to do inside of Unity is create a couple of scenes. I just called mine "Scene1" and "Scene2" to keep it simple. Next, add a couple of scripts, and let's name them "Scene1_Script" and "Scene2_Script". These will be attached to the main camera in each respective scene. Also, don't forget to add both scenes to the build settings - otherwise you won't be able to build. Alrighty, now it's time to get to the code. The high-level goal of Scene1_Script is to pick a random load screen, save it in our PlayerPrefs, slide it in, and load the next scene. To begin, let's set up the variables we'll be using. Alright, since this is the first thing we want to do, let's go ahead and call it in our Start method. If you build it, you should be able to click the button and see the load screen slide down, now. However, you'll see that it might not cover the whole screen. To fix this, we need to adjust the Matrix to format everything to fit in our native size. I made the images 1280x720, so that's what we'll use. Alrighty, now everything should be scaled properly and the loading screen should come on down when we click the button. That should be all we need for Scene1_Script. Good job, everyone! Now go take a food or potty break and be back in 10. 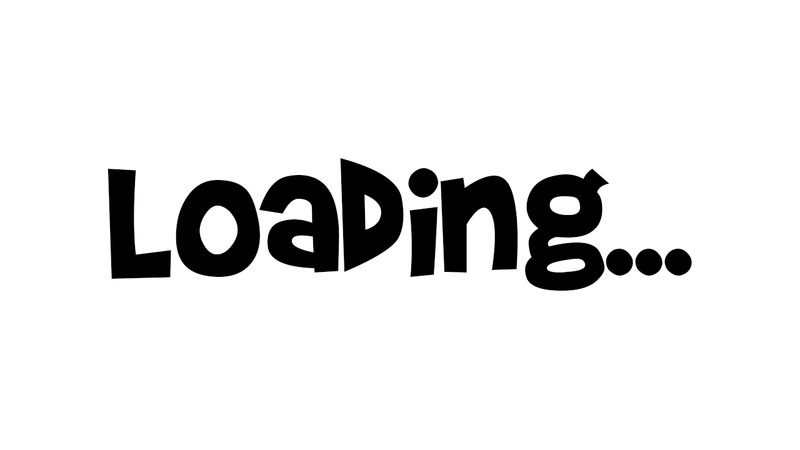 So, the whole reason for loading screens is in the name - to load stuff for the level. Since this is a really simple little project with nothing else to load, we're going to just set up a coroutine to wait for a few seconds to simulate the loading of assets. Deal? Deal. After the time has elapsed we set the slidingLoadScreenOut boolean to true to trigger the sliding out. We'll write out a couple things to the console to make sure it's doing what we want it to. Alright, now before this will do anything, just like in the first script, we'll need to actually draw the loading screen in the GUI. We'll start with setting up the Matrix, just like we did earlier, then draw the texture, and slide it out based on the slidingLoadScreenOut boolean. The last thing we'll be adding here is a little label that will appear when we're all done and the loading texture is out of the picture. *One thing to note: You will always want to make the loading screen the last object in the OnGUI method. This is because the method works by layering the later objects on top of the previous ones. As promised, here are the zipped up scripts for your shortcut-taking pleasure. Well, that's about all I've got for you guys. If you have any questions or suggestions, feel free to let me know in the comments. Also, be sure to follow my blog if you're interested in more of these little tidbits, because I'll try to add more here and there as I come across them. Thanks for indulging me, everyone!